Fumigation is the most common method for treating termites. However, while it is often effective, it also causes homeowners in Laguna Niguel, California, a lot of headaches. For example, not only will you have to deal with the cost of treating termites and fixing any damage they’ve caused, you’ll also have to pay for alternative accommodations for several days. Not to mention, fumigation can cause lasting worries about adverse effects on your family’s health. Fortunately, tenting your home and pumping it full of noxious fumes isn’t the only way to get rid of termites. At Kilter, we use the KILGUARD system, which doesn’t involve fumes of any kind. Rather, we carefully inspect our customers’ homes to identify infestation sites and target them directly. This method has been proven effective at completely eliminating termite infestations. When you choose our services, you can continue with your daily routine without interruption. In addition to providing an effective and convenient alternative to fumigation, Kilter goes above and beyond to ensure our customers are satisfied with our services. For example, we offer completely free termite inspections and only send trained, experienced, and polite professionals to our customers’ homes. What’s more, we offer a two-year warranty on our services, allowing our customers to rest easy knowing termites won’t return to their homes anytime soon. 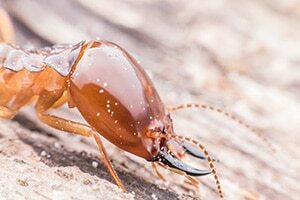 Kilter Termite and Pest Control is ready to inspect your home in Laguna Niguel, CA, for termites and tell you more about the advantages of our treatment system over fumigation. Contact us today.